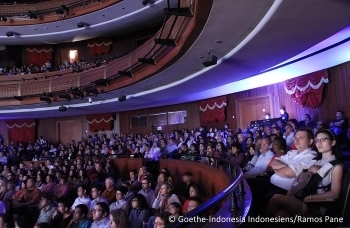 More than 2000 visitors came to Teater Besar in Central Jakarta on Saturday night to celebrate the opening of the German Season in Indonesia. 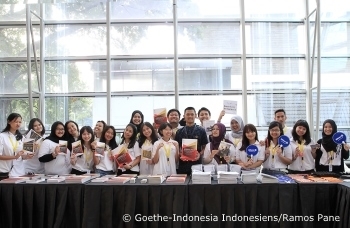 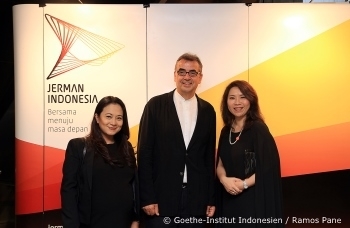 Dr. Georg Witschel, Ambassador of Germany to Indonesia, and Kacung Marijan, General Director of the Indonesian Ministry of Education and Culture, paid tribute to the long-lasting friendship between Indonesia and Germany in their opening speeches. 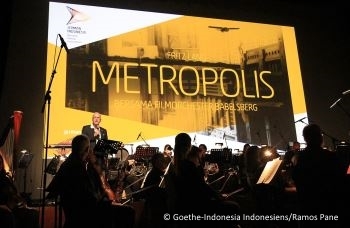 The celebration continued with a screening of Fritz Lang’s “Metropolis”. 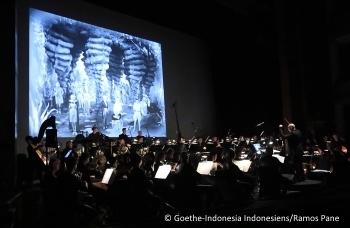 The classic silent film which is widely regarded as one of the most important works in the history of cinema, was accompanied live by the German Film Orchestra Babelsberg. 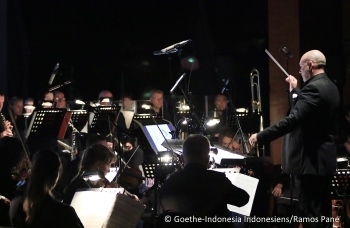 Conductor Matt Dunkley and his orchestra enchanted the Indonesian audience with a passionate performance. 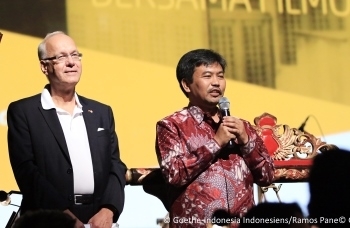 It was the first time that the uncut version of “Metropolis” was screened in Indonesia. 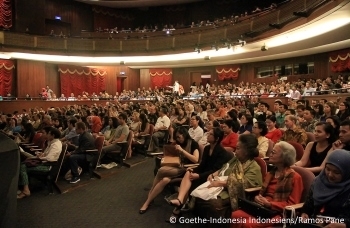 While around 1000 invitees witnessed the performance inside the theater, the film was shown simultaneously outside at the atrium on a giant screen. 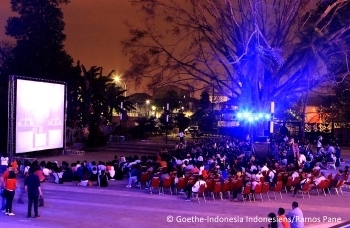 The music played by the orchestra was also broadcasted live; the open-air cinema created a truly special atmosphere.